We all need more power on our serves, don’t we? By the way, there is no magic formula to improving anything other than lots of practice. 1. A fast serve is a combination of proper technique, timing and body flexibility. 2. Use your legs to add power (bend them during the toss then spring into the shot). 3. 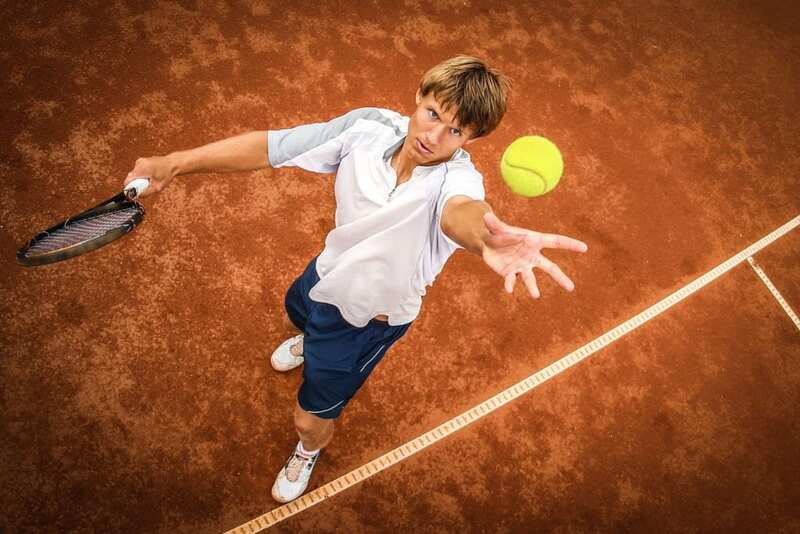 The toss should be further in front and not too high; a high toss will create friction on the downfall against your racquet resulting in more spin and less power. 4. Tossing arm should stay up longer (provides body balance). 5. Grip – must be Continental (allows for more wrist action) and relaxed. 6. Loose strings – the lower the tension on your strings the more of a “trampoline” effect you get resulting in added pace to your serve.